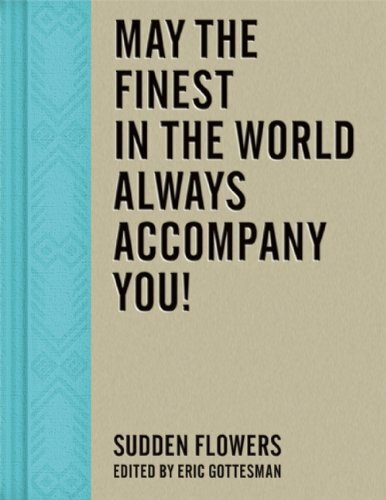 Sudden Flowers: May The Finest In The World Always Accompany You! In powerful photographic vignettes, Sudden Flowers illuminates American artist Eric Gottesman’s twelve-year experience working with children orphaned or affected by HIV/AIDS in Addis Ababa, Ethiopia. Using the technique of “positive-negative film,” which produces both print and negative images, Gottesman taught the children to use cameras in order to create portraits that communicate the complexity of their experience. With his help, the children formed the art collective Sudden Flowers, where today they continue to express themselves through the media of photography and film. The eponymous book is a representation of the work produced by both the children and Gottesman himself, and captures the poignancy of their combined vision. Self-portraits intertwine with youth testimonials to reveal an Ethiopian conscience whose activism and potential was not limited by the HIV/AIDS epidemic.